Since the Civil Rights Act of 1964, the United States has used the force of nationwide law to prohibit discriminatory treatment in the job and housing markets, in government and educational institutions, and at stores and facilities serving the general public. Many legally proscribed forms of exclusion and ill treatment are directed against people because of their race, ethnicity, national origin, religion, gender, age, and disability status. To this day, efforts continue to extend protections to additional groups, including gay, lesbian, bisexual, and transgender people. Core American values of fairness and equality inspire nondiscrimination measures, but there is also an important health rationale. Research has repeatedly confirmed what common sense suggests: when people are subjected to discriminatory acts ranging from subtle putdowns to outright harassment or exclusion from opportunities, their personal wellbeing suffers. Discrimination contributes to health inequalities – and fighting bias can reduce them. 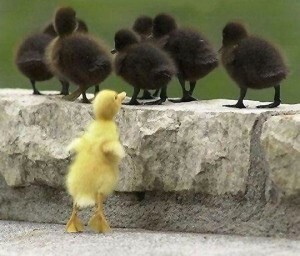 Discrimination typically refers to unfair treatment of people on the basis of social identities defined by race, gender, sexual orientation, ethnicity, or religion. Many Americans report facing discrimination that constrains their livelihood – for example, when they are unfairly fired or denied a job or promotion, when they are denied a bank loan or medical treatment, or when they are discouraged by a teacher from pursing further education. Banned by law, such blatant forms of discrimination also affect victims’ health by depriving them of jobs, medical treatments, and other benefits and opportunities that keep them out of poverty and open doors of opportunity. In addition, discrimination harms health by causing personal distress. Being unfairly fired from a job, for example, hurts a person’s sense of fairness and wellbeing as well as his or her economic fortunes. Beyond harm from currently unlawful actions, the wellbeing of those who suffer bias is undermined by everyday ill treatment – for example, when they are called names or insulted, disparaged as not very smart, or treated as if they are threatening or dishonest despite doing nothing wrong. Like other strains and traumas, day-to-day experiences of discrimination can wear victims down, placing them at increased risk for mental and physical illness. Day-to-day experiences of discrimination can place an individual at increased risk for mental and physical illness. Why is that? Researchers have found that victims of discrimination often have heightened physiological responses, including elevated blood pressure and heart rate. In addition, ongoing struggles to cope with discrimination lead to lower self-esteem or a reduced sense of personal efficacy. Victims may turn to unhealthy means of coping such as drug and alcohol abuse; and they may stop regularly taking medications or keeping medical appointments. Further, because discrimination is not experienced evenly across the population, researchers find that it contributes to the persistence of disparities in mental and physical health along societal fault lines of race, gender, sexual orientation, or even physical statuses such as weight or appearance. What about the experiences and wellbeing of Americans who are members of more than one disadvantaged group? Since the 1980s, black feminist scholars have argued that research solely looking at blacks, or at women, fails to adequately capture life at the intersection of these two identities that put people at risk for discrimination. Neither the health nor experiences of bias are adequately captured when one such identity group is studied as if it were separate from others. In my research, I have asked whether multiply disadvantaged youth and adults face extra discrimination and, as a result, greater risk for poor mental and physical health. The answer turns out to be yes. When characterized by more than one disadvantaged status, young people and adults (age 25 to74) are more likely to face multiple forms of discrimination than people not defined by any disadvantaged status or people with just one disadvantaged status. Because doubly disadvantaged people have extra exposure to bias, they are also more likely to suffer from mental and physical health problems. They simply experience unfair treatment more frequently. For example, black women report racial slights in social situations where women predominate, and they also experience sexist discrimination in their own racial communities. Banning discrimination by law is an important basic step. Anti-discrimination laws must be maintained for currently covered social categories and expanded to protect vulnerable people in statuses still not included – such as sexual orientation, gender identity and expression, and weight. In addition, laws and legal practice should acknowledge the unique experiences of multiply disadvantaged individuals. Their discrimination cases are often not successful in court, perhaps because the complexity of multiple forms of discrimination is not well understood. Laws are not enough, however, unless widely understood and actively carried through. People who work at organizations with an equal employment opportunity office and formal training about diversity are more likely to file discrimination claims when necessary. Knowledge and organizational resources empower people to seek remedies. Diversity training for managers also helps to reduce the number of discrimination claims. When legal violations are found, remedies are most effective when they move beyond compensation to individual victims to establish reformed organizational practices. Finally, it is crucial to recognize that the current legal model places the burden of proof on victims, even though it is often very difficult to prove intentional discrimination by an individual, institution, or employer. Moreover, because Americans today tend to view discrimination as a thing of the past, victims often face social skepticism and self-doubt. The extra mental labor involved in replaying personal experiences and deciding what, if anything, to do can exacerbate stress and health problems. All Americans who care about the ongoing fight against social discrimination must work to raise awareness that serious problems persist and must be aggressively countered both in law and daily practice. Read more in Eric Anthony Grollman, “Multiple Forms of Perceived Discrimination and Health among Adolescents and Young Adults.” Journal of Health and Social Behavior 53, no. 2 (2012): 199-214, and “Multiple Disadvantaged Statuses and Health: The Role of Multiple Forms of Discrimination.” Journal of Health and Social Behavior 55, no. 1 (2014): 3-19. Eric A. Grollman is in the department of sociology at the University of Richmond. He is the co-author of Sexual Orientation and Fear at Night: Gender Differences among Sexual Minorities and Heterosexuals.